Who really benefits from urban revival? Cities, from trendy coastal areas to the nation's heartland, are seeing levels of growth beyond the wildest visions of only a few decades ago. But vast areas in the same cities house thousands of people living in poverty who see little or no new hope or opportunity. Even as cities revive, they are becoming more unequal and more segregated. What does this mean for these cities--and the people who live in them? 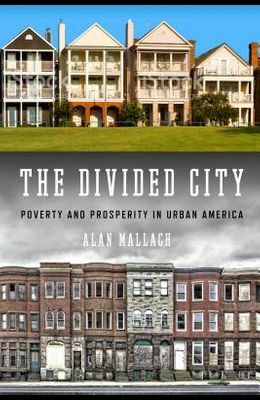 In The Divided City , urban practitioner and scholar Alan Mallach shows us what has happened over the past 15 to 20 years in industrial cities like Pittsburgh, Detroit, Cleveland, and Baltimore, as they have undergone unprecedented, unexpected revival. He draws from his decades of experience working in America's cities, and pulls in insightful research and data, to spotlight these changes while placing them in their larger economic, social, and political context. Mallach explores the pervasive significance of race in American cities and looks closely at the successes and failures of city governments, nonprofit entities, and citizens as they have tried to address the challenges of change. The Divided City offers strategies to foster greater equality and opportunity. Mallach makes a compelling case that these strategies must be local in addition to being concrete and focusing on people's needs--education, jobs, housing and quality of life. Change, he argues, will come city by city, not through national plans or utopian schemes. This is the first book to provide a comprehensive, grounded picture of the transformation of America's older industrial cities. It is neither a dystopian narrative nor a one-sided the cities are back story, but a balanced picture rooted in the nitty-gritty reality of these cities. The Divided City is imperative for anyone who cares about cities and who wants to understand how to make today's urban revival work for everyone.